While it might seem like Marvel fans get all the fun, what with Avengers: Endgame tickets being scalped for hundreds of dollars, us DC geeks have tons of stuff to anticipate, as revealed by Warner Bros. panel at Cinemacon this year, which offered up details on Aquaman, Birds of Prey, Joker, James Gunn’s Suicide Squad reboot-sequel-thing, and Wonder Woman 1984. Let’s roll through those in alphabetical order, because it’s all interesting stuff that makes the upcoming movies all the more intriguing. Aquaman, which grossed over $1 billion, is the second biggest movie in Warner Bros. history. Warner Bros was founded 96 years ago, meaning that Aquaman is a pretty big deal. There’s definitely a sequel coming after a showing like that, and Jason Momoa popped up on-screen at WB’s CinemaCon showing to suggest as much. “Hope to be seeing you again soon,” Momoa said before raising up two fingers, according to ComicBook.com. Todd Phillips’ Joker movie is coming later this year, and apparently we’re getting a trailer as soon as tomorrow that has CinemaCon attendees comparing it to movies like Taxi Driver and Requiem for a Dream, according to IndieWire. They’re calling it dark and violent. And we’ll be able to see for ourselves tomorrow. Todd Phillips said that a lot of stuff that has been said about the villain’s origin story is not accurate, and called Joker a tragedy story. Word on James Gunn’s Suicide Squad movie is pretty sparse, but it’s worth mentioning that Warner Bros. chairman Toby Emmerich called the movie “Suicide Squad 2,” rather than “The Suicide Squad,” or “Gunn’s Suicide Squad Reboot.” It’s not enough information to call it a sequel – it might just be what the execs are calling it in meetings to clarify what it is while Gunn comes up with a title, but it sure sounds less like a reboot when official people are calling it by that name. Finally, the Warners also showed some footage of Wonder Woman 1984. 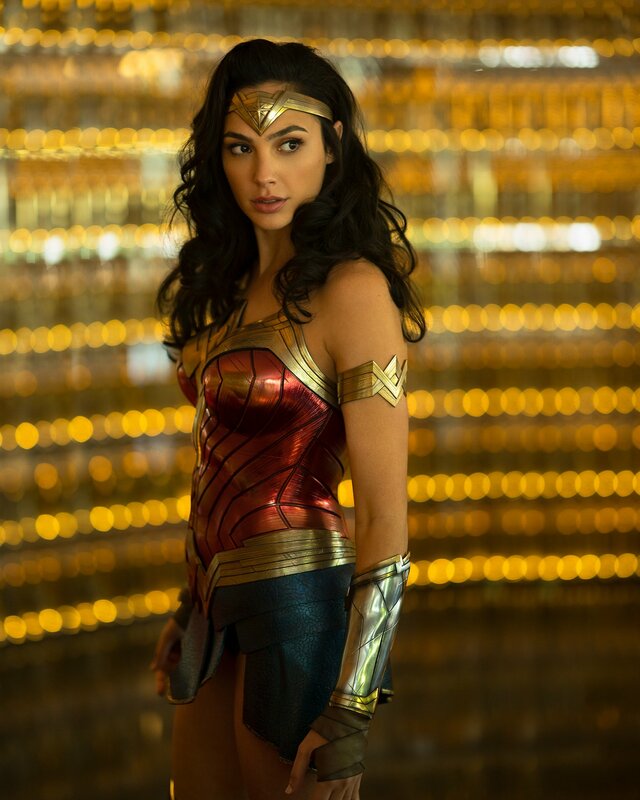 Director Patty Jenkins said that Diana is “now at her full powers” in 1984 – long past figuring them out or getting a grip on them. A shot shown during the presentation had Diana and her long-lost love Steve Trevor walking in front of the Washington Monument, further confirming that he is, at the very least, not a hallucination or imagined person – whether it’s actually Steve Trevor or not. Is he a clone? Is he a magic spell? It’s anyone’s guess for now. Unfinished footage showed Diana sprinting through a street and and fighting in a 1980s shopping mall, and even revealed a first look at Diana’s nemesis, Cheetah, played by Kristen Wiig. No pictures of Wiig as Cheetah have leaked out yet, sadly. The footage is bright and colorful, leaving behind both the gritty look of Batman v. Superman and the muted look of the WWI-era Wonder Woman. That’s a lot to chew on, and a lot to anticipate. The Joker has gone from seeming like a joke to being one of the more interesting films coming out of Warner Bros. this year, and we’re very excited to see that trailer.